These flaky empanadas are made with a delicious pumpkin filling and spiced with cinnamon. Just what the holidays ordered! Enjoy the flavors of the holiday season with these scrumptious pumpkin and cinnamon empanadas! 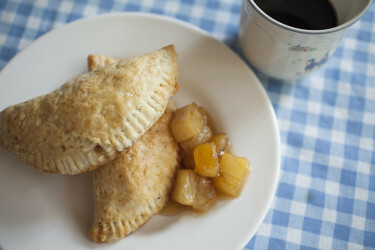 You can serve these yummy sweet empanadas for breakfast, as a snack, or as a dessert. In fact, they could easily become the new milk-and-cookies treats that you'll leave out for Santa. Although we're willing to bet that Santa will never even get a whiff of them. Sweet empanadas are a great way to get creative in the kitchen when it comes to dessert. 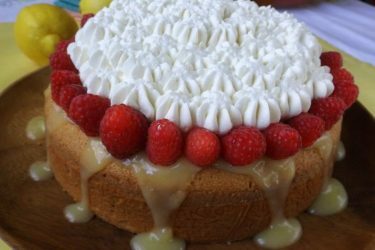 You can prepare them with the fruit filling of your choice. 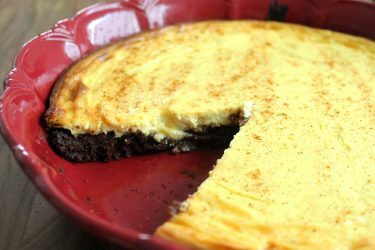 And then, if you want to make them even more decadent and irresistible, try adding dulce de leche or chocolate to the recipe. We love sweet empanadas so much that we have recipes for empanadas with salted dulce de leche and spiced apple, pineapple, and strawberries and cream, to name just a few. This recipe is all about celebrating the flavors of the holiday season. Cinnamon and pumpkin... what more do you need to get you in the holiday spirit? Bring a large pot to high heat. Add water, cover and bring to a boil. Add pumpkin and cook for about 20 minutes, until very tender. Drain water and transfer to a bowl. Add maple syrup and 1/4 teaspoon ground cinnamon. Mix well until smooth. Combine the other 1/4 teaspoon of ground cinnamon with the granulated sugar in a small bowl. Reserve. Lightly cover a clean surface with flour. Fill each shell with 2 tablespoons of purée. Fold in half and seal the borders using a fork. Place the empanadas on a lightly greased baking sheet. Spread oil over each empanada and sprinkle some of the sugar and cinnamon mixture over them. Bake for 12 to 15 minutes or until they’re golden brown. Remove the empanadas from the oven and let them cool down for about 5 minutes before serving.